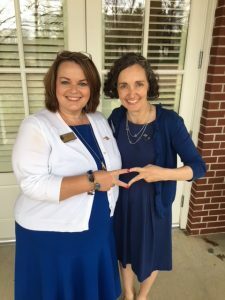 Membership in Alpha Delta Pi brings gifts, both tangible and intangible. It gives me the gift of friendship, laughter, connection, support, and service. It also gives me tangible items that connect me to individuals and our sisterhood. Here are a few of my favorite items. I remain so honored to wear the International President’s badge. It belongs to the sorority and is entrusted to me while serving in this role. I love the tangible connection to the 11 presidents who wore it before me and all who will come after me. The year I served as a Leadership Consultant, the sorority gave each of us a pair of blue handled scissors and a stapler to use on our chapter visits. I still have both of them in my home. While the stapler gets infrequent use, the scissors are in my kitchen drawer and are used often. 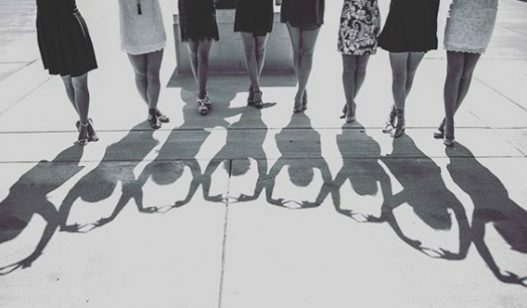 They remind me that ADPi is a part of every day, in both ordinary and extraordinary ways. I have a ring that belonged to Karen Mayster Gans, who served as Chapter Finance Director Chair when I joined the team as a new International Officer. 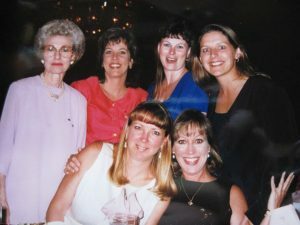 She lived in California and I lived in Virginia; she was the first alumna sister I developed a friendship with from afar and she showed me the connections of our sisterhood no matter how you meet. Karen passed away way too early in life, and I am honored to wear her ring, already worn smooth by her years of use, and continue to take it to our special ADPi events. For Christmas this past year, I received a box from Renee Bailey Iacona with a note that every International President needs a lion pitcher. The extravagance and kindness of her gift brought tears to my eyes as I opened in on Christmas morning. Louie, as I named this pitcher, now sits on my kitchen table regally gracing the house from morning prayers to evening dinner. What items bring you joy and remind you of our sisters and sisterhood?